Next event: Sunday 22nd September 2019. Show features: Free Parking & Entrance. Free Bridal bag for every registering bride. With over 30 exhibitors, free entrance and parking, this wedding show is a great showcase of local wedding companies to the surrey and middlesex area. Situated in the Grandstand at Kempton Park, this event is a showcase of the best local wedding companies, at each show there are between 30-40 exhibitors. Open from 11am-4pm, with free entrance and parking. Train stations: Kempton Park Racecourse boasts its own train station on-site – Kempton Park – which is situated 200 yards from the Premier Enclosure entrance. Trains run every half an hour direct from London Waterloo with the journey time being just 40 minutes. 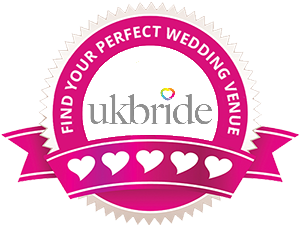 Get married at Kempton Park Racecourse! A unique and special venue Kempton Park provides the ideal setting for any wedding. Set within 400 acres of beautiful manicured grounds. With great transport links and large car parks, Kempton Park Racecourse is easy to find and get too. For further information or enquiries about exhibiting or visiting the show please call 01895 251000 or head to the Contact Us page.